Harry Harrison passed away a year ago today. This morning I received a message from S. Gruzov which said: Сегодня исполняется годовщина смерти Гарри Гаррисона – выдающийся человек. Помянем его. Google translates that to: Today marks the anniversary of the death of Harry Harrison – an outstanding person. Pray for him. I’m not a hundred per cent sure Harry would have wanted our prayers, but I think he’d appreciate people remembering him today. Read from a favourite HH novel or short story, and recommend something of Harry’s to a friend – that way we can keep his memory alive forever. Harry Harrison passed away in the early hours of Wednesday 15th August. If you would like to leave a message or a remembrance of Harry, then please leave a comment on this post or send a message via the Contact Us page. We will pass on all messages to Harry’s family. 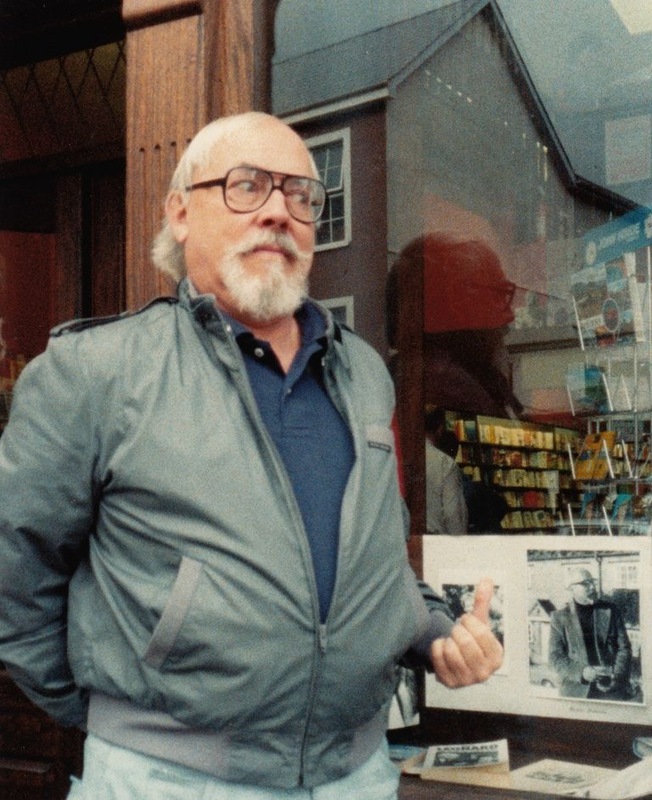 Harry Harrison’s daughter Moira has written a tribute, which you can read here. Christopher Priest has written an obituary for The Guardian: http://www.guardian.co.uk/books/2012/aug/15/harry-harrison. It was published in the print edition of the newspaper dated 16th August 2012. The Times newspaper published its obituary 18th August. Online version available to subscribers only. Le Monde published an obituary 22nd August. Online version available to subscribers only. The Independent newspaper published its obituary 25th August. Online version available here. In Need of a Rat Catcher? Eeek, I’ve been away from this blog for so long the rats have moved in. At least that’s what one pest control company seem to think! They left a comment here offering their services. I’m not sure they would know what to do with a Stainless Steel Rat, so I haven’t approved their comment. T.S. Hendrik has a blog called The Non-Review, and invites authors to review their own books. He contacted Harry Harrison, via this blog, and asked Harry to review The Stainless Steel Rat Returns. You can read what Harry wrote here. Great stuff. Here’s a quick mention of three (fairly) recent book publications — a couple of which have been mentioned before, but which are now available to buy. The first is published in the UK, but should be available from Amazon sites in most countries – and if it isn’t, you can use your Amazon log on to buy from amazon.co.uk. The other two are US publications — they’re listed on Amazon UK as well. 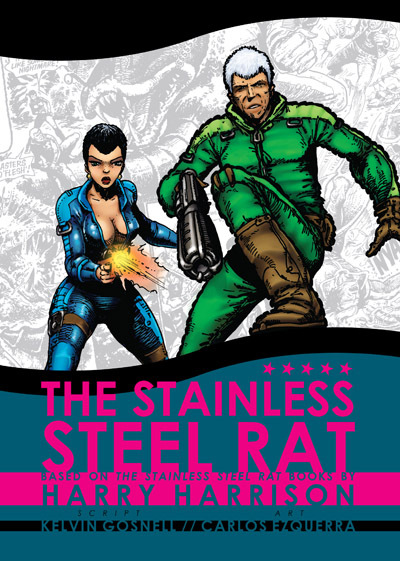 The Stainless Steel Rat, script by Kelvin Gosnell and art by Carlos Ezquerra, was published by 2000 AD / Rebellio in July 2010. This reprints the comic adaptations of three Rat novels – The Stainless Steel Rat, The Stainless Steel Rat Saves the World, and The Stainless Steel Rat for President. These are reproduced in black and white from the artwork as it originally appeared in the weekly 2000 AD comic. At 26 x 19cm (10 x 8″) the page size is smaller than the original comics, but doesn’t really suffer as a result, and doesn’t suffer from having been ‘invisibly mended’ and colorised, as the Eagle Comics versions were in the USA. If I have one tiny criticism it is that the paper quality could have been slightly better – though, of course, it’s a million times better than the newsprint paper of the old 2000 AD. 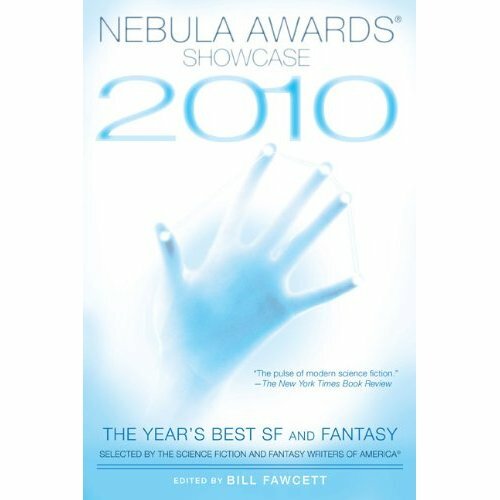 Nebula Awards Showcase 2010, edited by Bill Fawcett, was published by ROC/Penguin in April 2010. This volume contains material relating to the 2009 Nebulas, and also includes Harry Harrison’s award of Grand Master. Harrison’s short story ‘The Streets of Ashkelon’ is included in the volume, and their is the very brief ‘An Appreciation of the Grand Master: Harry Harrison’ by Tom Doherty. 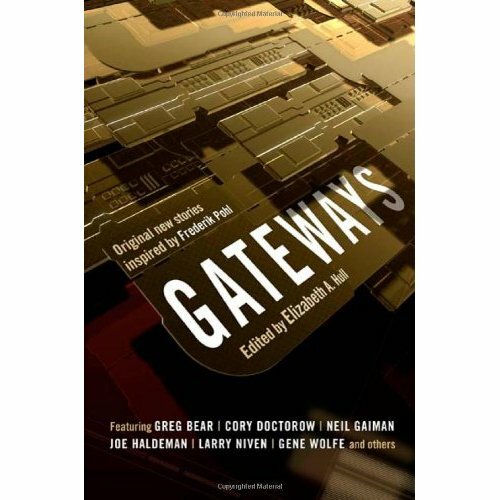 There is the award-winning fiction, of course, plus seven essays – each a retrospective on a decade of science fiction, from the 1930s through the 1990s. Harry Harrison’s contributions to the book include fiction titled ‘The Stainless Steel Rat and the Pernicious Porcuswine,’ being the first three chapters of The Stainless Steel Rat Returns; he also wrote a four-page piece called ‘Knowing Fred,’ detailing the various times that his and Fred Pohl’s paths have crossed since their first meeting at the Hydra Club. I’m back home now after my two weeks in Harryville. I have lots to catch up on here, and several hours of interviews still to transcribe! I have two lots of Burin’s questions which I also still have to transcribe the answers to — I’ll try and get them posted here before the end of the week, along with a few other bits of news that I haven’t had chance to post yet. Thanks to everyone who posted questions during the last fortnight — it was great to be able to ask Harry these questions as they came in. Please continue to let me have questions as they occur to you, as I’m sure Harry will be happy to answer them — I’ll either get answers from him by e-mail or save them up for another recorded interview when I see him again in a couple of months. I got home to find that my copy of The Stainless Steel Rat Returns! audio book had arrived — seven hours in mp3 format on one CD. I haven’t had a chance to listen to it yet, but will post a review once I have. Burin’s question was: Of all the things that the Stainless Steel Rat has done — fighting the gray men, tackling aliens, blowing up the revenue authorities, and driving Inskipp nuts — what is the one thing you’d most like to have done yourself. Harry Harrison’s answer was: The thing I’d most like to have done myself was to get into Angelina’s knickers! For those less familiar with colloquial English, Harry’s response didn’t mean that he wanted to dress in Angelina’s underwear, but rather that he would like to have… well, you can work it out, I’m sure. Our conversation following this eventually turned into a series of questions that Harry Harrison wanted to ask Burin Bache — so here we go, Harry’s revenge on Burin! (1) What is the equivalent colloquial German phrase for ‘I’d like to get into her knickers’? (2) Which is your favourite Perry Rhodan book? (3) Have you read any good German military SF? Which books would you recommend? (4) What’s the colloquial German term for borborygmus? (5) What’s your opinion on the use of skeuomorphisms in the design of modern gadgets? The Stainless Steel Podcast Returns! The file is called SSR-Returns-Interview2 because the first time I tried to convert it to mp3 the software produced a file that sounded like two gerbils having an argument in latin. Angelina vs. Meta – Who would win? I had one more question from Burin Bache – whose name I now know how to pronounce! * — he asked: What is the Bishop’s real name? I asked Harry, who said he could tell me, but then I’d never leave the room alive. So I didn’t insist on knowing the answer. If you don’t know who the Bishop is, you’re probably reading the wrong blog. Today’s guest interviewers are J.B. Coldwell and Ben Sugden, who are – I think – from West Yorkshire in the UK, or at least originally from that neck of the woods. BS: Why did you decide to stop writing the Deathworld series? HH: I really had no more material; I exploited the idea to the ultimate – I gave the characters all the problems and they solved them all. Also, I didn’t want to do that forever, the way that some writers do. The Stainless Steel Rat is different – I’ve done eleven of those, but spread over a period of forty or fifty years, and all those books are completely different, even though the character is the same. BS: Was there ever a plan for an English-language Deathworld 4, perhaps based on ‘The Mothballed Spaceship’ short story? HH: I’m afraid not – what you see is what you get, so make the most of it! BS: Is there any possibility of a Stainless Steel Rat or Deathworld movie in the short to medium term? HH: It’s a great idea, I love it, I wish they would, they’re optioned. We have to have patience. I’ve had to be patient for 25 years, so I’m the same as you too. BS: Which actors would you like to see play Jim and Angelina in a movie? HH: It’s been optioned for so long that all the choice actors have died off! Very early on we were trying to get Steve McQueen, who would have made a very, very good Rat. But he snuffed it. One guy who had an option on it wanted to have a black actor play the Rat, but the option lapsed. It’s hard to say. Chances are we’d be better with a new, good actor. The older good actors are now on crutches! It would be like John Wayne with his pot belly running, you know! BS: Do you have a favourite actress you’d like to see play Angelina? HH: No, again its the same thing. In some ways its a very difficult role, because it has to be very physical, yet very feminine at the same time. The actress who was in The Producers and Kill Bill 1 and 2, Uma Thurman, was very good. She was very feminine – especially in The Producers where she gets her clothes off – there was a lot of girl there! BS: And which actors would you like to see play Jason in Deathworld? HH: Same thing as with Jim, it would require somebody new. You want the character to walk into a scene and establish himself as an individual. BS: In a fight between Angelina and Meta (from Deathworld), who would win? HH: I’m afraid my money would be on the Deathworld girl. They’re both pretty good, but she comes from a heavier planet, so she’s used to moving in twice the gravity so she has bigger muscles. Angelina has plenty of smarts, but the other one is a good cruncher! BS: Have you seen the Ocean’s Eleven remake with George Clooney? Do you think his character is like the Stainless Steel Rat? HH: He’s too old for the job! JBC: How do you think you have influenced the field of science fiction? HH: For the better I hope! I did invent steampunk, that’s first. I also worked hard to have an anti-military element in my books… I suppose I’ve tried to adult-ise the field. Science fiction was always a young boys’ fiction, even in John Campbell’s magazine. JBC: Have you ever seen a character in a movie or on tv and thought that they reminded you of one of your own characters? HH: No, they’re all figments of my imagination. With the possible exception of Steve McQueen… but that’s pretty rare. I don’t really set out to specify black hair or big eyes or… I try to keep it very general so that every reader can imagine himself in the role. It’s very important for the reader to identify with the hero. PT: The first question today is from someone calling himself CryptoJack, who I know is from Russia because he says, When is Harry Harrison coming to Moscow again? PT: Crypto also says, P.S. The new Stainless Steel Rat book is amazing! BB: Who are Harry’s 3 most favorite sci-fi writers (besides himself 😉 ) and most favorite sci-fi novels? HH: That’s a tough one, when many writers are friends too. There’s Brian Aldiss, of course. Then there are a lot of very good writers, most of them sadly departed. There are people who I appreciate for what they’ve done for science fiction, like Robert Heinlein, not my favourite writer, but certainly a seminal writer in the field. And Kurt Vonnegut – I do appreciate good writing, which is pretty rare in science fiction as you know. Favourite science fiction novels other than my own? There’s a lot of them, right back to H.G. Wells The Time Machine, which is still a very strong book and holds up well. Slaughterhouse 5 I would put up there because the book is so well written it transcends time and place. His very first book is the best thing he wrote, The Player Piano, it’s very funny, very witty. That’s a very eclectic selection. BB: What is the book, or series, of his that he considers the the most influential? HH: Probably Make Room! Make Room! because of the film Soylent Green, which they repeat all the time, and which got a lot of people interested in overpopulation. I had a lot of correspondence about it. One girl said, If I thought the world was going to be like that, I’d commit suicide. I wrote back and said that’s why I wrote it, so that people can change the world, its better than committing suicide. BB: As somebody who came up with so many futuristic gadgets in his books like all the special-tools Jim is using or the handguns of the people from Pyrrus in Deathworld… what is his favourite real gadget? BB: If Harry could pick just one of his novels or short stories which one would he like the most to be turned into a movie by Hollywood? HH: The Stainless Steel Rat! I’d also like to see a really good job done of The Technicolor Time Machine. When Mel Gibson had an option on The Technicolor Time Machine I really hoped he’d make it – he’d make a really good Viking! He had a screenwriter, Marshall Brickman, who did a really nice screenplay. All actors like to wear fake noses and such, and Brickman knew that if you had him as the Viking only, Mel Gibson wouldn’t appear in the film until reel four, so he also had Gibson cast as the American actor, a ham actor, you know, who breaks his leg and then gets replaced by the Viking. That’s a good idea. BB: I wonder if Harry is a lil interested in computer games? BB: Would Harry would like to give games another try since he wrote the adventure book? HH: With a guarantee of money, yes! But without a hunk of cash in front of me, no! HH: (Laughs) All the science fiction gadgetry I invented I would have liked to have used. BB: Would you have liked to have a conversation with an artificial intelligence? HH: Oh yes, who wouldn’t? Thanks to today’s guest interviewer, Burin Bache.